4 18-holes greens fees to Mallard Creek, $25 Bootleggers Bar & Grill Gift Card, Titleist golf hat, Footjoy polo, Dozen Titleist NXT Tour golf balls and a Footjoy StaSof golf glove! 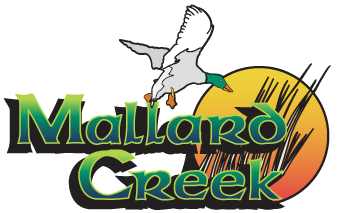 A tradition unlike any other… The Mallard Creek Masters Contest is back once again in 2017. Simply fill out the form below with your Name, Email Address and your pick to win the 2017 Masters Tournament. If you pick the winner correctly, you automatically win an 18-hole greens fee good any day here at Mallard Creek. If you and a group of others all selected the same winner (i.e. : Jordan Spieth), then you will all automatically receive a free 18-holes greens fee. From the group of participants who selected the winner, we will then randomly select the grand prize winner from that group. Example: 100 people participate and 25 pick Jordan Spieth to win. Jordan Spieth does win, so all 25 participants will receive the free 18-hole greens fee. To determine the grand prize winner, we will alphabetize the 25 names on a list and pick a random number (1-25) out of a hat and that is the grand prize winner. – Only 1 entry per person. – Entries must be in by Wednesday, April 5 at 11:59 p.m.
– You cannot change the golfer you select. – Prizes are not redeemable for cash value or trade-in. – You must fully complete and submit the below form. Facebook, Twitter, email replies, etc. will not be counted as entries. * Once you have submitted the form, you are all set and ready to go.